A whole new world of Firo: During the Japanese Onsen Chillout project "Narukyo" and "Shibukyo", Firo had various electronic music sessions with different people from the local community. He developed and reached out creating his own new frontier in electronic music. Invited for special guest appearances, Tetsuroh Konishi (Tp) renowned support player with Why sheep? and Gen Hoshikawa from Dry River String for vocals plus Cobi from Coupie, Nao for chorus. Shining particles of sounds and positivity, fragments of shining music he discovered in many areas around Japan. Including "Our small room I", the official music of international convention for Solar Frontier. Firo - Silver lining - 05:57 � 00.00 Buy this Song ! Firo - Halcyon days - 4:23 � 00.00 Buy this Song ! Firo - Sequence&chain - 5:03 � 00.00 Buy this Song ! Firo - Nilonio - 3:25 � 00.00 Buy this Song ! 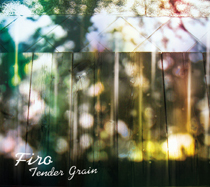 Firo - Seed time - 04:10 � 00.00 Buy this Song ! Firo - Our small room I - 1:43 � 00.00 Buy this Song ! Firo - Phosphorescence - 0:00 � 00.00 Buy this Song ! Firo - Our small room II - 1:34 � 00.00 Buy this Song ! Firo - Landscape with a barn - 6:24 � 00.00 Buy this Song ! Firo - British coast - 4:10 � 00.00 Buy this Song ! Firo - An old farmer's tale - 4:24 � 00.00 Buy this Song !